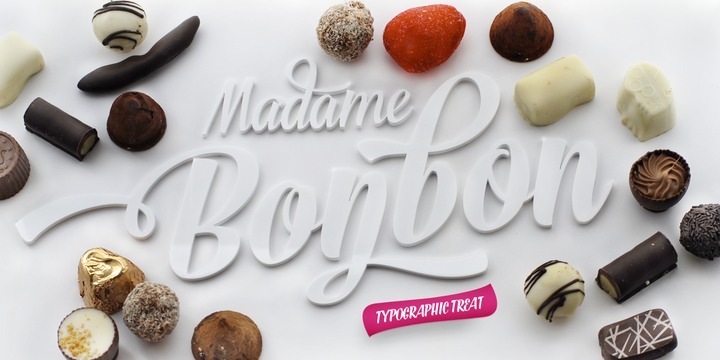 Bonbon is a scrumptious script family of about three weights. It ensures the total number of over 850 glyphs per font. Bonbon is laden with alternates; about four of them for each letter. This makes it unique. One can easily turn on small caps and activate an entire set of crystal clear yet vivacious capital letters intended to be compatible with the font.